We're almost at the end! Here's #20-11! This is the fruit of their efforts, led by Chatty's watcherxp. After weeks of tallying votes taken over our Chatty boards and privately channels, this is the list of the Top 100 PC Games of All-Time. Right now, we continue the countdown with #20 through #11. BioWare had set the bar incredibly high for itself following Star Wars: Knights of the Old Republic. No imagined the studio would top itself in the manner that it did with Mass Effect, a true game-changer that put together action, RPG mechanics, and a full rich lore with characters that truly evolved with every single decision made. Choice was everything and it would be the theme that would run through the entire and a big part of the reason why the ending of the series left so many sour tastes in people's mouths. There truly is nothing like Mass Effect and it's a game that truly carries gaming forward in a big way. "Meaningful consequences, the power of strong friendships and relationships, a strong vision and an interesting story; perhaps the ending of Mass Effect 3 wasn't as great as it could have been, but the journey itself is one of the highest points achieved in gaming, established by the masterpiece first chapter." 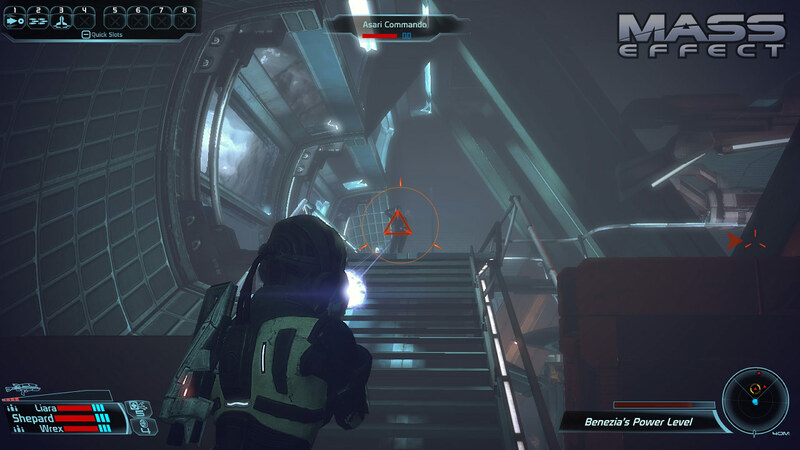 "The Mass Effect trilogy is much debated. For me the story and character driven style is what really elevated this game beyond several other RPGs or shooters. The original Mass Effect delivers the best story of the three, hands down." "It's a futuristic KOTOR - what's not to love?" "My jaw literally hit the floor when I beat this game." "Another favorite modern PC game. Awesome exploration and world design, cool characters, and a strong story. I could wander the citadel doing sidequests for an entire game." "Perhaps the best single player, story driven game I've ever played. I didn't play it until many years after it came out (in fact I bought it a month or two after the release of ME3) but it still had a huge impact on me that forever changed my taste in video games." "The perfect RPG. You'll laugh, you'll cry, you'll shoot robots and aliens. Excellent mix of roleplaying, action, and minigames. Not buggy. Great voice acting. Great music. Great storytelling. Almost nothing wrong with it at all." Speaking of BioWare, Mass Effect isn't the last we're hearing of them on this list. They're also responsible for one of the finest RPG sequels ever made in the form of Baldur's Gate II. It focused on everything that made an RPG great, right down to its epic narrative and its grittier world that required heavier strategy than its predecessor. This was the game that showed the gaming world how much brighter it would be with BioWare in it. "This game was the epitome of great story telling, great characters, and great action. Every system in this game was just damn near perfect. While my first exposure to the Infinity Engine games was Baldur's Gate 1, this game took everything good from that game and made it ten times better, and then added more great stuff on top of that." MINSC AND BOO STAND READY! *SQUEE SQUEEEE*""
"The RPG genre was revitalized by BG1 which would take this spot if BG2 hadn't been so much better." "It took the fun 'real D&D' appeal of BG1 and catapulted it far beyond the complexity of any campaign I'd played to date. While it still couldn't match the inventiveness that comes from a real DM and a table full of friends, the story and breadth of scenarios that came out of the game had me hooked for ages." "A masterpiece. This single greatest work of fantasy, across all mediums. Took the fantasy genre to a level of depth and interaction that I had never experienced before. To this day it still amazes me that games with this amount of content and level of complexity can actually exist." 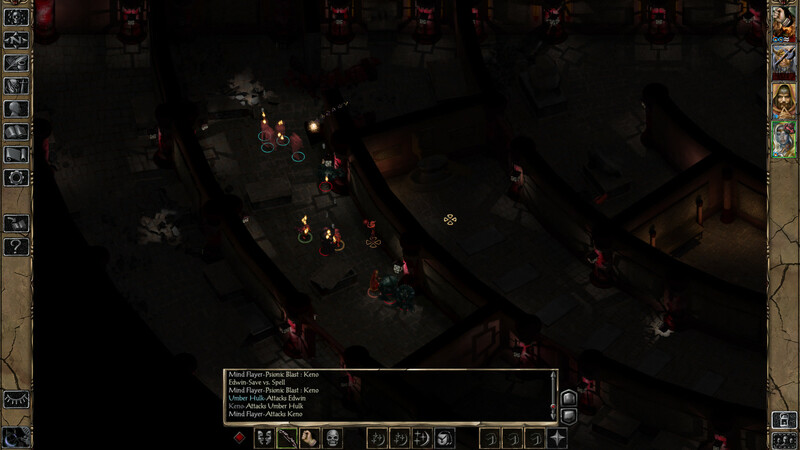 "This is the best isometric RPG, beating out Fallout, IWD, Planescape, etc. The game had an excellent story and the villain was truly memorable." Firaxis knew just what made the previous Civilization games so beloved, but they did more than simply improve upon them with Civilization IV. The developer actively added to it with a far crisper-looking 3D world, smarter AI, and multiplayer support. This remains one of the standards for strategy games. "Do I need to explain myself?" 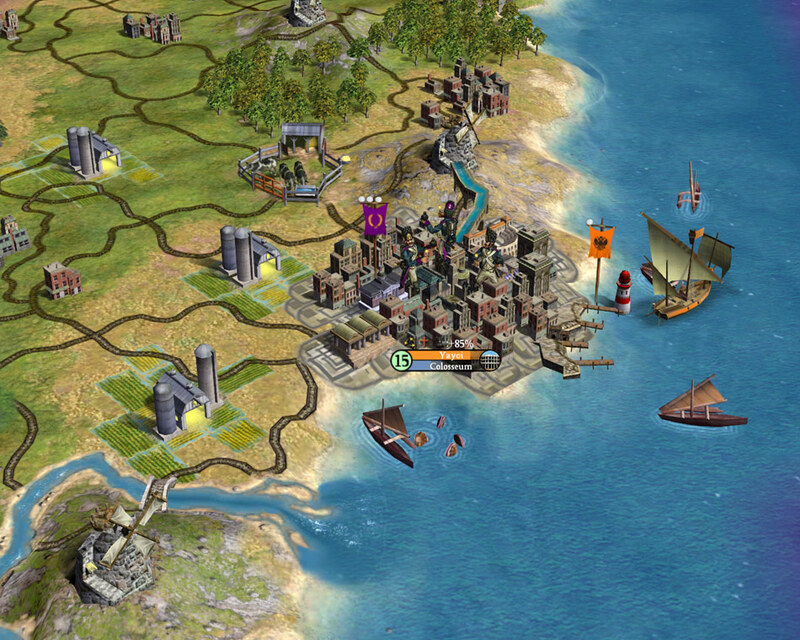 "A best games list wouldn't be complete without Civilization. I'd put 'all games from the series' here if I could, but since I have to pick an individual title it's Civilization 4. My first experience however was with the original Civilization and that still carries a strong positive nostalgia factor." "The culmination of all the lessons learned from Civilization 1-3." "Close call between this one and Civ II, I picked the one with the better graphics and music (though I miss the Elvis impersonator FMV adivsor). 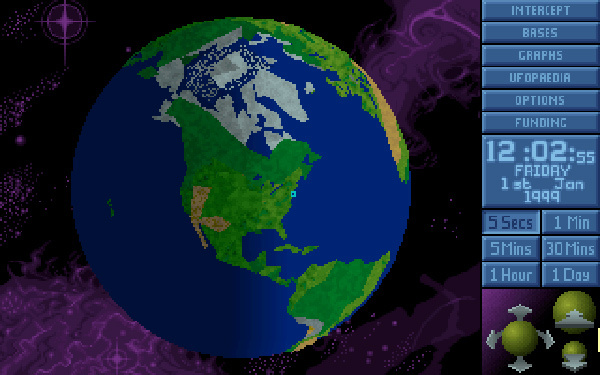 I can sink multiple straight days into this game, meticulously controlling every aspect of a nation. I don't play multiplayer or high difficulty in this game, I play it for the same reason people knit or make wood carvings: to get absorbed in small tasks to feel peaceful while crafting something great. Granted, not many knitting projects have resulted in millions of digital deaths." "Many hours spent listening to Leonard Nimoy read to me." "ONE MORE TURN -- The Civs before this felt like preparation; the Civs after (so far) feel like recapitulation. The beautiful world rendering made exploration constantly rewarding. And Civ 4 did a fantastic job of drawing the player along through massively complex systems, hopping from goal to goal so that you felt in control of the course of a civilization without actually needing to have supercomputer-like comprehension of the game state." "Soren Johnson's masterpiece, with incredible depth and amazing soundtrack and voiceovers." As if the perfection of Half-Life could be improved any further, along came Counter-Strike to add one of the greatest multiplayer mods ever created. 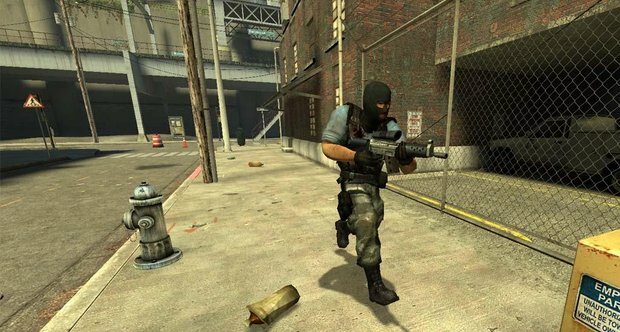 This would become synonymous with successful PC mods, as Counter-Strike's epic struggle between Terrorists and Counter-Terrorists proved so great that its creators soon found themselves employed by Valve. Needless to say, Counter-Strike was heavy in the Shackbattle rotation for many years and the original still finds its way into the rotation every now and then, even today. "Played through very early betas to 1.6, and even tiny bit of Source and GO. Coming out of the mod community, it launch decades of play." "I started playing Counter-Strike when one of the earliest alphas was released, and it had its hooks in me for seven years. I'm still waiting for another game to get under my skin like CS did." "I spent more time in this game then any other by far. I would get all my homework done in middle school so I could spend all my free time at home playing CS. Made my bones in CS"
This is the game that cemented XCOM as a classic franchise. Simply put, it's one of the all-time best PC strategy games. It straddled the line between resource management and tactical turn-based combat like no other game could. It's a fantastic effort that holds up just as well today as it did when it first released in 1994. "Despair and triumph are how I vividly remember the original XCOM. Using mechanics and game systems to create a compelling story of my named soldiers running into scary monsters makes this game a masterpiece. The external world view serves a great purpose to change the pace and add progression for the next battle with even scarier aliens and larger space ships. My most enjoyable moments in gaming were overcoming a real danger and killing the last aliens in a long tense battle." "A strategy game that lets you tell your own story. There was no explicit narrative, but your own struggle against the alien threat was written by you. Each new encounter (first encounter with the chryssalids is particular memorable) let to new drama, new discoveries/weapons. The night missions had palpable tension despite the turn based nature of the game. Finally, death was quite meaningful in the game - you could name your soldiers and you really cared about them as you built up. Tactical combat, base building, RPG elements, progression, all wrapped into UFO lore popular during that time makes one of the most enjoyable games of all time!" "An amazing, genre defining title. Despite the bugs, still highly playable after 20+ years." Undoubtedly the best Star Wars to come to PC. It wasn't simply because it flipped the script and had players take control of one of the Empire's rank-and-file fighter ships. It improved upon every aspect of the X-Wing series' flight mechanics, while also feeding the expanded Star Wars lore beautifully, introducing some of the most celebrated characters to never see the big screen. Rarely has being the villain, especially a low-level one, been so much fun. "Much more entertaining that a bunch of dizzying dots (stars) on screen should be. Left a huge impression on me." "Best that I not try to play this game again and break any nostalgia, as I'm concerned that the gameplay just devolves into turn and burn." "Soon peace and order will be restored throughout the galaxy." "Tie Fighter nailed the feeling of being in the Star Wars universe well. The flight sim mechanics were amazing, as was the ship variety. 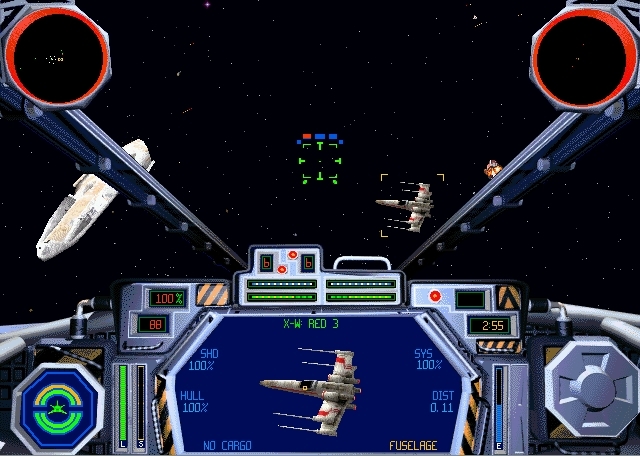 The concept of playing on the 'other side' was a great idea and makes the game stand out among the Star Wars choices." "This game took the X-Wing idea and added intrigue with 'the shadowy figure.' Space sims (and games of other genres) too often try to paint you as The Hero rather then making the realistic, mundane fun." "I remember the first time I saw the word gouraud shading was in this game's settings." "Building upon the stellar X-Wing, this old-school flight sim defines a generation of flying games. tactics with weapons, shields and engines but you still had to shoot straight to win. This game beats out the slower true flight sims from Microsoft and Microprose, but replaces the realism with fun." "I just had a dream I was sitting at my computer playing Tie Fighter, years after I last touched it." "I was skeptical of this game being good since you were the bad guys and flew in those POS TIE Fighters. Boy am I glad I was so wrong." "My brother and I would play all of the Star Wars games at the time, but this is the one from that period that stands out the most. Getting missions from Thrawn (who we had never seen before) and the Emperor, and flying in all the different types of TIEs. Using a Microsoft Sidewinder joystick of course." 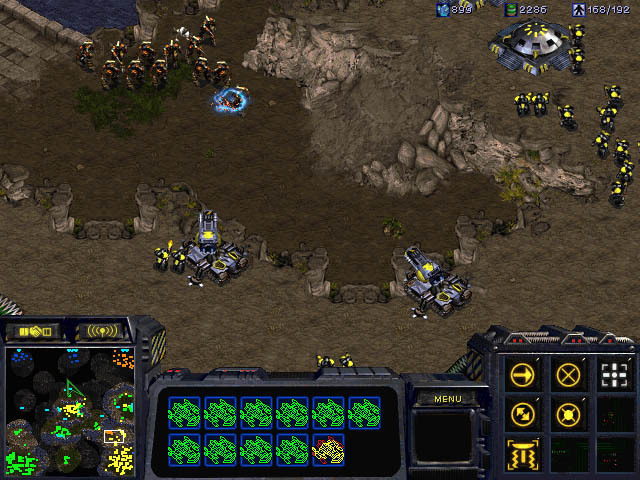 The first in the series is an important part of gaming history, as Starcraft kicked off an entire sci-fi RTS craze that is only now just starting to settle down. It would not only redefine the genre as everyone knew it in the late 90s, but it would also be one of the pioneers of the eSports phenomenon as we know it today. With a rich narrative and three powerful, balanced races to choose from, Starcraft was in a class all its own. "This was my first real time strategy game. I was immediately hooked on the characterization of the little dudes running around, the overarching story, and the sheer fun of building an army and just thrashing your enemies. I didn't spend a lot of time online as my internet connection at the time was terrible, but that never stopped me from constantly replaying the campaign or loading up a skirmish map against the AI." "This game changed the RTS world forever. I still miss the 'grit' of this game and how it was somehow more then the sum of its parts (and how this grit isn't quite as potent in Starcraft 2)." "Along with Broodwar, is perhaps the best RTS of all time. Possibly one of the most competitive 1 on 1 video games ever." "RTS perfected. Three well balanced races with wildly different mechanics. Watching the evolution of the meta over years of competitive play is a testament of it's adaptability and longevity." "When my brother wanted to get this in 2003, I asked him why because we had already played it on N64. Though I never played competitive multiplayer much I loved the campaign and the custom games were my first taste of the great thing moders could do on the PC. The Lotrish and hero survival map games were my favorites"
"Classic RTS that I had to play. Loved the rock-paper-scissor design and the strategy in figuring out which units counter which other units. Very challenging - another game where completing each mission was very rewarding." "When I got this, Brood War was already out, and we got the Battle Chest that came with the strategy guide. And I would bring the guide book to school to read it and show my friends. We would rampantly cheat in the campaign and custom games vs AI. I have memories of playing over dial-up, so when there was a connection problem, I would have to disconnect, call my friend (who had separate lines for phone and Internet!) and try to figure out the problem, and then have my dad reconnect the Internet." "Squeezing into the list is the incredible legacy of Starcraft. Best RTS for about 15 years straight the depth of strategy in this little gem of a game was unheralded for the time. Balancing three different races, multiplayer and a strong singleplayer element had this game sit atop of the must-play lists for a very long time. Serious contender for the top spots, only beaten by nostalgia and legacy of the Warcraft franchise." "Hours and hours in the college dorm playing this wonderful game that is a rite of passage for all gamers, with a particular genetic susceptibility if you are Korean." "The best of all strategy games with delicate balance between three races. Even now making balance between three very different types of combatants is very hard but SC nailed it eventually. Each patch was a little bit broken, but also a little bit better. The brood war expansion solved many problems with just a handful of units. This game is a great example of how certain units can fit certain roles which has huge ramifications. The longevity of competitive play and the openness of styles and personalities is unparalleled in PC gaming history. Also I believe it started the esports wave on a wide level with some very entertaining games out of Korea." 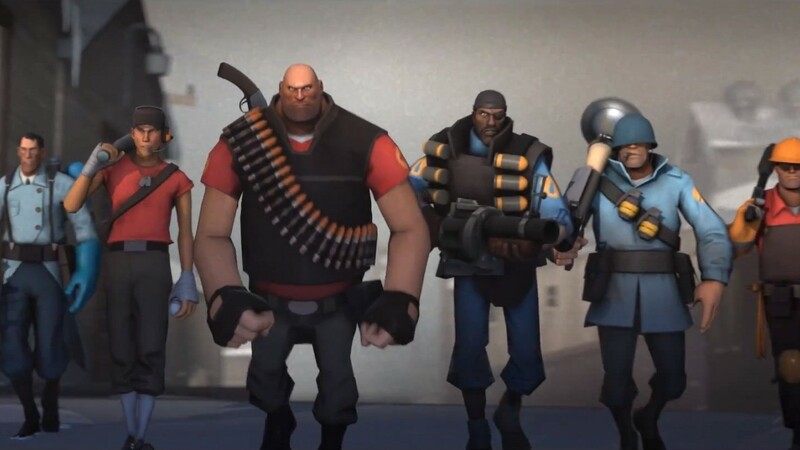 There were a lot of skeptics when Team Fortress 2's first trailers saw the light of day. Some saw it as too cartoony. Other lamented the shift in tone. The doubters were all proved wrong with one of the best class-based FPS games to ever grace PC, with the kind of pure personality that had never been seen to that point. From there, it would grow to change the very landscape of video games forever, introducing the cosmetic DLC model, the free-to-play economy, the Steam Workshop, and even giving machinima the kind of spotlight it had never seen before. We recently covered all of this in our Team Fortress 2 timeline, if you want to see the wide influence this game has had in its seven years on the market. Team Fortress 2 isn't just credit to PC. TF2 is credit to all of video games, period. "Simplifying the team-shooter and applying 'cartoony' aesthetics made it special. A trick that still works well. (see: PvZ:Garden Warfare)"
"I picked up the Orange Box mainly for Half Life 2, but it also came packaged with this other weird game. I had zero experience with online FPS games, but this game turned out to be everything I wanted out of an online shooter. The class based combat encourages teamwork in ways that few other games have come close to matching, and it's incredibly easy to just jump in to a game for a quick shooting session. Plus, there was and still is a dedicated community that loves creating new stuff that I kept randomly discovering that would keep me coming back for more." "Such a fun multiplayer game. Even seven years later, it's still fun to play. Valve just keeps adding more hatschanges to the gameplay so it's not it's like it's the same game every year." "The Free to Play era of TF2 has soured my memories of it a bit -- for reasons I won't get into here, and which are mostly a matter of taste that doesn't reflect on anyone who still clicks with it. But in honesty I'd have to say that 1) TF2 as a F2P game has been a huge mover and shaker in the fortunes of Valve and PC gaming, and 2) pre-F2P, I put crazy amounts of time into TF2. I loved Team Fortress, I loved Team Fortress Classic, and I loved TF2. The art direction was tasty, and those short films were hilarious, but most importantly it was a game where occasionally some actual teamplay would appear out of nowhere among random pubbies. That's the best." "Class-based shooters are often hyped up, but rarely deliver. Team Fortress 2 is a shining example of differentiating characters to the extreme, but still making everything fun and functional. My favorites classes were Medic, Scout, and Heavy, and they were very different from each other. While there situations I excelled at, and some where I was inferior, but there were almost no situations where I was not having fun. The objectives were clever ideas to mix it up from a standard death affair and the use of stationary turrets or nests makes the game have such an amazing value in map position. It also allows people with weaker traditional mouse twitch skills to give valuable contributions and develop other types of skills. Everything is slick and the game is great fun." "The Shack tourney was one of the best gaming experiences I've ever had online and really brought the community together!! Fun for all skill levels! Great videos and gaming culture spawned from this game!" "Engineer is credit to team! :D Still mega fun to play after 7 years." It's the very definition of role-playing. Planescape: Torment fully brought the advanced fantasy D&D experience to life with a story quite unlike any other at the time. Rarely did players venture into an RPG as an evil villain, but Torment pulled it off exceedingly well with The Nameless One. He had the flexibility to switch classes as the game went along, while his character straddled the line between good and evil. The idea of starting off as a true neutral and allowing player actions to determine where they ultimately fell is an idea that's been borrowed by many games, like the Infamous series, but none have managed to pull it off quite like Planescape: Torment. "The best exploration of philosophy so far created. And a great game, to boot." "What a horrible game, it's no fun at all! Yet, as my #1 choice (Dwarf Fortress) proves, I'm the kind of dude who'd rather play a game that excells at just one thing instead of one that is decent across the board. And Torment may well be the single best written game of all time." "Planescape: Torment epitomizes what the ROLE PLAYING game is all about. Although the game begins with the overused amnesiac hook, it is employed with aplomb and grace and is absolutely essential to the way you interact with the narrative. Your journey as The Nameless One lets you explore your past lives and examine how your actions affected the world around you and how your actions NOW affect the development of yourself and your companions. As a game about discovering one's self, no other game has managed to evoke as great of a sense of personal agency as Planescape: Torment. BioShock has been lauded as an example of subverting the very act of playing the game to great effect within its story, but Planescape was the first game to really use the medium in a meaningful way. At the age of 14, I found out more about myself through Planescape: Torment than I did from any other medium. Not only is Torment a tour-de-force in character analysis and self-reflection, it is also one of the weirder IPs to come out of the D&D license, yet its treatment of the core material (the Planescape setting) is handled beautifully. In summation, narrative quality is unrivalled in Planescape: Torment. While the gameplay is a little dated, the game is more than worth a couple of playthroughs just to experience Chris Avellone's excellent writing." "Quite simply one of the most complex and unique stories in gaming history. I've replayed it many times, and still never uncovered all the various ways some of the plot lines can play out. The writing is second to none in the industry, and the setting is possibly one of the most interesting (and tragically unexplored after this title) in D&D's history." "I own five copies of this game for backup purposes." Quake 3 Arena knew where its strengths were. That's why it dispensed with the formality of the single-player campaign and simply focused on its greatest quality: the unparalleled multiplayer. Arena's single-player helped players prepare for the true multiplayer experience by offering games against bots, while the multiplayer brought together a fast-paced competitive experience filled with powerful weapons that all balanced each other out. Crafted with id Tech 3, there was no shooter out there that was quite as deep and quite as gorgeous as Quake 3 Arena. "You have lost the lead." "Quake 3 brought a fantastic competitive multiplayer shooter platform that's still played to this day. This was my first exposure to gaming competitions and the fledgling idea of a 'pro gamer.'" "By far the best multiplayer FPS I ever played, and one of the few games I played competitively in tournaments and leagues." "The single best competitive multiplayer shooter ever made. The speed, the balance, the insanely high skill ceiling, and a dedicated community made Q3A a unique game that may never be topped." "I feel like Q3A was the game that basically made me the video game player I am today. Most people cite Doom, Quake or Duke and sure at that point I had played the Doom's and the other Quakes. But just something about Q3A hooked me like nothing else did. Again, I don’t mean to drone on but this is the reason this is my #1 game. It was a random Friday night , we were in high school doing our normal Friday night deal which was just playing some games. One of our friends perked up and said 'hey do you guys want to LAN?' Still being a noob to this stuff, I was like WHAT’S THAT DURRRR??? Well my friend explained what it was to me and I was on board instantly. There was about 5-6 of us, so we split into groups. Two of us were on food and drink duty. Another two, had to make a run to an electronic store about 20 miles away to buy a hub since none of us had one at the time. The last two were sent off to everyone's houses to collect up their PC's. Well, cut to 2-3 hours later, we are in our friends basement, comps set up and ready to play a game. 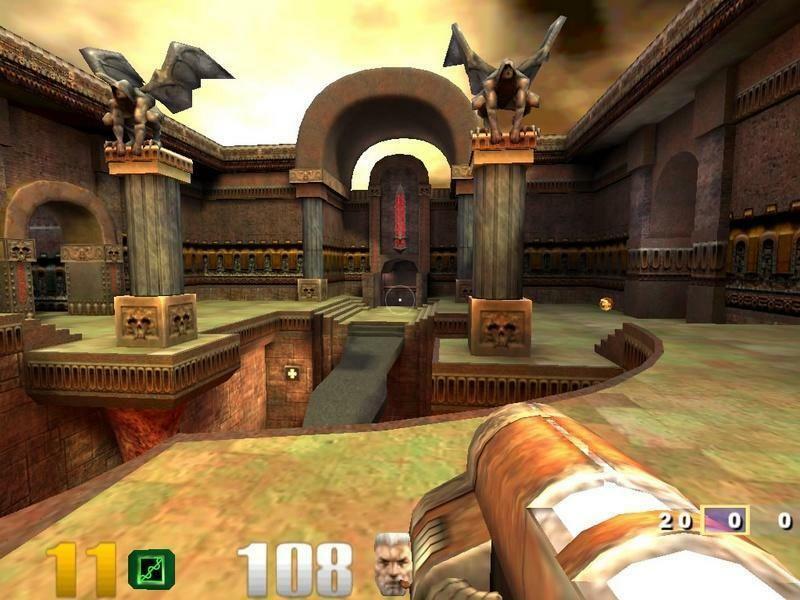 The first one that someone suggested, Quake 3. We all had it, we all played it, and we dove right in. It was one of the most fun times I have ever had with a video game. We played from around 10PM until 5 in the morning. Q3A would go on to become a staple at our yearly LAN. It was the first and last game we would play, hell we even had a friend bring two PC's over just so one of them could run a dedicated server. Even to this day, almost 15 years later, we still play Quake 3 at LAN's. Sure, most of the reasons above are personal as to why this game is important to me, but the game was F***ING FANTASTIC. It was super fast pasted and twitchy. It was well balanced and a ton of fun. The thrill you got when you blasted a friend in the face with a rocket. Everything about the game was just a ton of fun. Something that will always stick with me." That only leaves 10 more to go! Be sure to keep on reading for our the top 10! Ozzie Mejia posted a new article, Shacknews Chatty Community's Top 100 PC Games of All-Time: #20-11.